A Lebanese report Saturday said that Egypt had drawn up the outline of an agreement for a ceasefire between Israel and Hamas. As part of the agreement, Egypt will work to execute a deal which would see Hamas release the Israelis it is holding captive in exchange for a release of terrorists in Israeli prisons, the report in the Al-Akhbar newspaper said. The agreement being developed follows along the lines of news reports late last week. 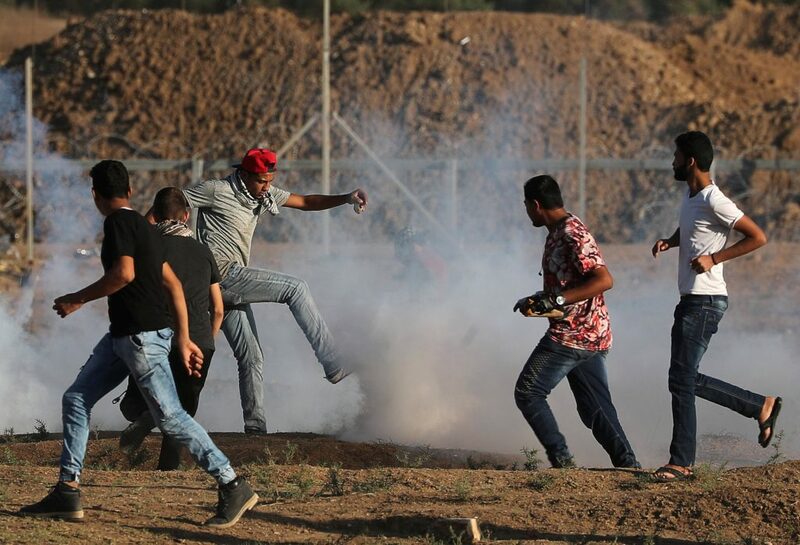 The reports in Arab media Thursday said that Gaza terror groups had agreed to halt their campaign of balloon terror attacks against Israel. In addition, they agreed to stop burning tires on the Gaza border fence. Demonstrations will still continue at the fence, but they will be “non-violent,” the report on the Quds network said. In return for the ceasefire, Israel has agreed to expand the zone Gaza fishermen can trawl – a move that was announced Wednesday, with Israel expanding the zone from six miles off the Gaza coast to nine miles. In addition, Israel will allow more gas and fuel into Gaza, in order to allow for more hours of electricity in the Strip, and to allow the United Nations to continue with infrastructure and construction projects that are already underway. According to the Al-Akhbar report, Israel has also agreed to provide as many as 5,000 work permits for Gaza residents. If the situation remains quiet until the end of the year, Egypt will begin pushing the exchange deal, the report said. Accompanying that will be further economic incentives for Hamas, including the expansion of the fishing zone to 14 miles, and a permanent opening of crossings into Israel and Sinai. To ensure that the situation remains calm, an international force consisting of U.N. and Russian troops will supervise the crossings.